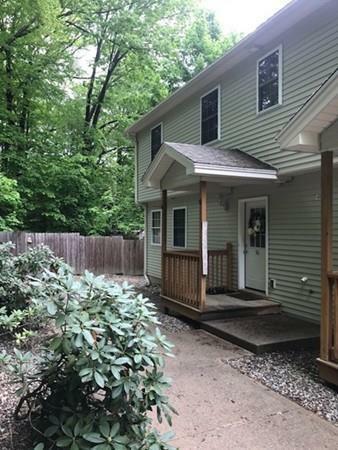 56 Montville St #56, Chicopee, MA 01013 (MLS #72298296) :: NRG Real Estate Services, Inc.
CONDO LIVING AT ITS FINEST WITH... 3 BEDROOMS & 2 FULL BATHS! PRIVATE END UNIT w/ SIDE YARD! ONLY $150 CONDO FEE! GARAGE W/ OPENER! 2281 SQUARE FOOT OF LIVING SPACE! HIGH EFFICIENCY - LOW UTILITY BILLS... including central air, gas heat, 1 car garage with new garage door opener, city water & sewer. The unit has been meticulously cared for and sits on a quiet dead-end street. Quick access to 91, 391 & Mass Pike. Many options for funding MA Housing, VA Loans, Conventional, and Homeready / HomePossible Advantage/ 97% LTV Loan (all three are only 3% down payment loans) (Condo Unit not FHA Approved).